Cab Grid Stripe Integration provides additional functionality to the main Cab Grid Pro price calculator plugin for Wordpress. A licensed copy of Cab Grid Pro must have been purchased and installed for this add-on plugin to work. * One-time only license fee for each website or domain. In the form on the left, enter your name and domain name to match your Cab Grid Pro license. 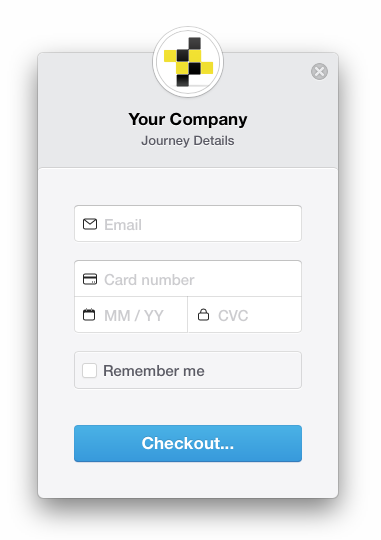 Click the either ‘CARD PAYMENT’ or 'PAYPAL' button and enter your email address and card details. The Add-On will download as a ZIP file. Use the file browser (button labelled ‘Choose file‘ or similar) to locate the ZIP file you downloaded on your computer. Go to the Plugins page (from the left-side menu).